Delphine and her sisters Vonetta and Fern are off to Alabama to spend the summer with their grandmother, Big Ma, and great-grandmother, Ma Charles. As the oldest, Delphine is expected to keep Vonetta and Fern in line, no easy task when both girls have minds of their own, especially Vonetta. Things take a turn for the interesting when they begin visiting their great-grandmother’s sister, Miss Trotter, across the creek, a sister Ma Charles refuses to speak to. Will Delphine discover the real story behind the silence of Ma Charles and Miss Trotter? 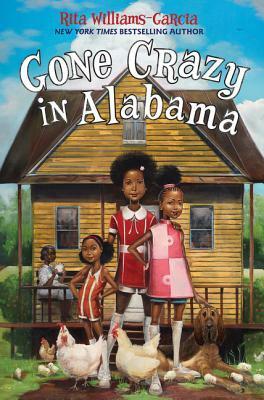 Sign into Goodreads to see if any of your friends have read Gone Crazy in Alabama.